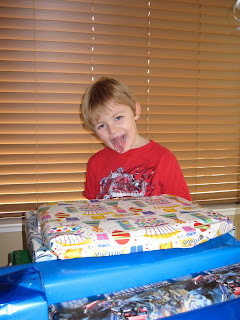 Enjoying Life With 4 Kids: Carson is 6!! 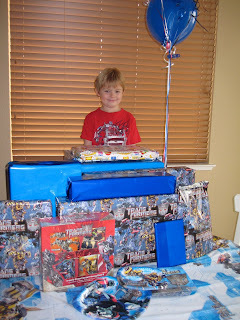 Can you believe Carson is SIX years old! Oh my! How could my little baby already be 6. Carson is such a wonderful little man. He is smart, funny, and a huge helper. Today he had donuts for breakfast of course. Then we went to Toys R Us and he picked out some new Transformers. We had lunch, rode bikes, and then had Transformer hot cocoa.